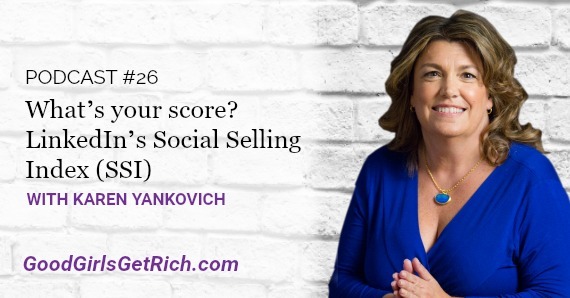 In this episode, Karen talks about LinkedIn’s Social Selling Index (SSI). LinkedIn is a crazy, powerful tool that is standing out on all social media sites! LinkedIn helps you understand LinkedIn’s most powerful search tools, [10:14] to zero in decision makers, how to expand your network, researching potential prospects and companies, taking advantage at who has viewed your profile.